MYOB is not just known for its award-winning accounting features, but also for its feature-packed inventory management system. These sophisticated features, which can be found in MYOB Premier and MYOB Premier Plus, are able to streamline and solve your highly complex inventory issues. Hence, it is a suitable Singapore inventory software. Why You Should Choose MYOB as Your Inventory Software? Click on each reason below for more information. Enter inventory items, record detailed descriptions (even images) and track all their movements. 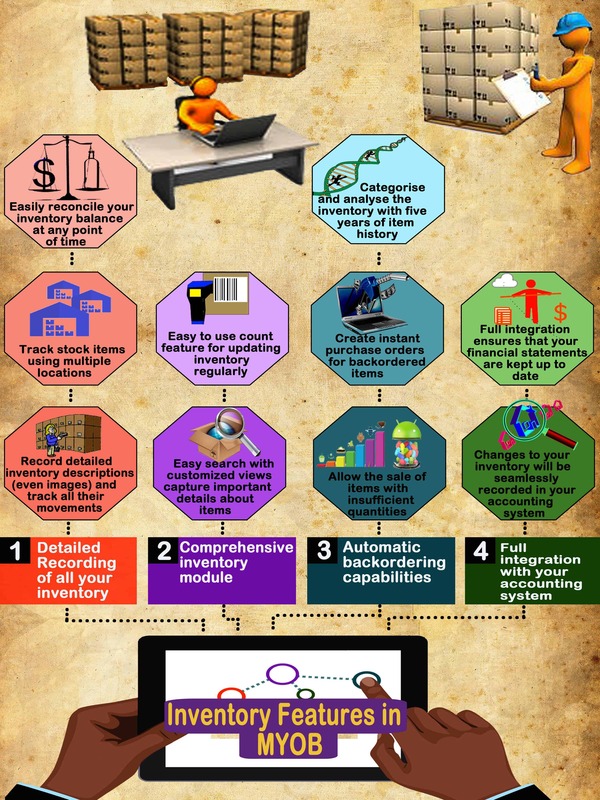 Changes to your inventory will be seamlessly recorded in your accounting system. Full integration features ensure that your journals and financial statements are kept up to date.